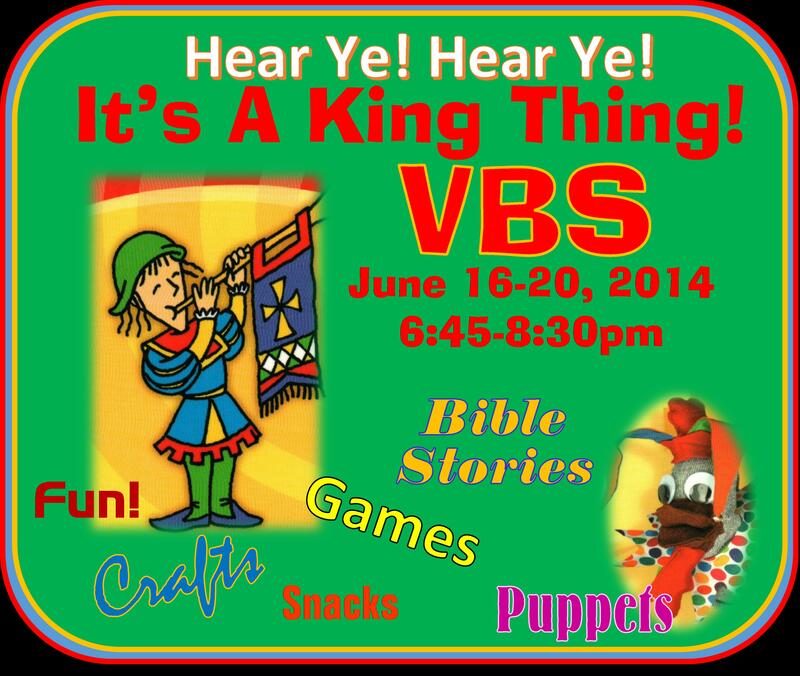 VBS is coming soon and we’re very excited! We will be using “It’s a King Thing!” materials published by David C. Cook to study different Kings & Queens from the Bible each night from 6:45 to 8:30 pm. Come learn about Saul, David, Solomon, Esther, and Nehemiah. There will be lots of fun and activities, plus special guest appearances by puppets Lady Legomutton and Chester the Jester. Lots of summer fun that Preschool thru Elementary kids will love!